For thirty three years we have provided quality window cleaning service for both our residential and commercial customers. One story to three stories - no problem. We clean windows, mirrors, and screens. We also provide hard water stain and scratch removal. There's an incredible and surprising array of benefits our films provide to any building, whether it's the largest skyscraper in your city, or the smallest home on your street. Madico films provide much more than attractive looks to buildings and homes. They also block almost 100% of the sun's UV rays, reducing the fading of your furniture, walls, flooring and other valuables, while controlling heat transfer, and ultimately reducing your heating and cooling bills. We pride ourselves on our Safety and Security products. From the branch of a tree or the errant throw of a baseball, hurricane winds or violent explosions, Madico window films and attachment restraint systems are specially engineered to increase your safety. They help protect some of the world's highest-profile buildings, such as the Louvre, the Smithsonian and Scotland Yard, as well as private homes everywhere. Madico's View Control Films are a series of decorative film-to-glass products that combine form with function. They add artistic design, as well as practicality, to windows in any setting. Beauty, safety, and protection. It's amazing what a thin layer of film can do for your home. Madico window film is offered in a variety of styles and hues, giving you the freedom to design as bold or as subtle as you'd like. You'll find the energy savings attractive as well. 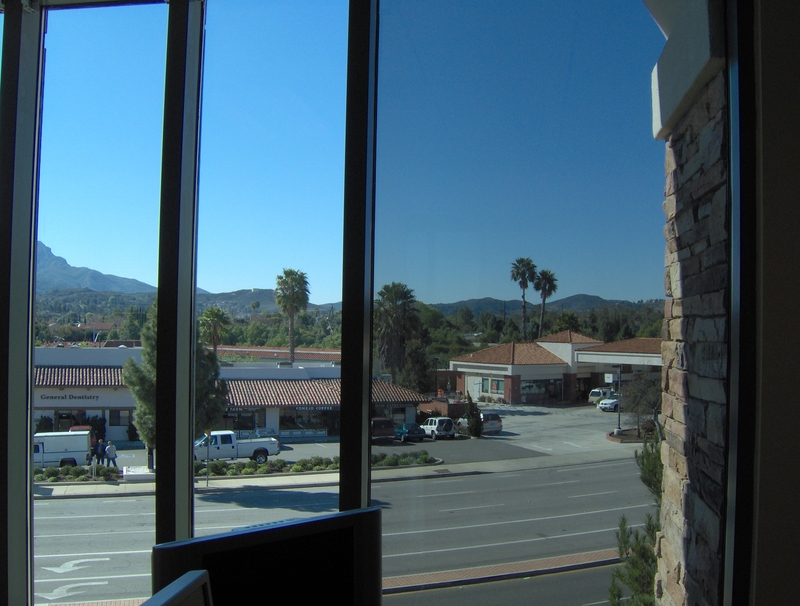 Madico window films reflect the summer's hot sun, reducing AC costs. And, in the winter, they prevent inside heat from escaping through your windows, reducing your heating bills. Madico window films are of the highest quality and are backed by a manufacturer's warranty of at least seven years. Some films are guaranteed for as long as you own your home! 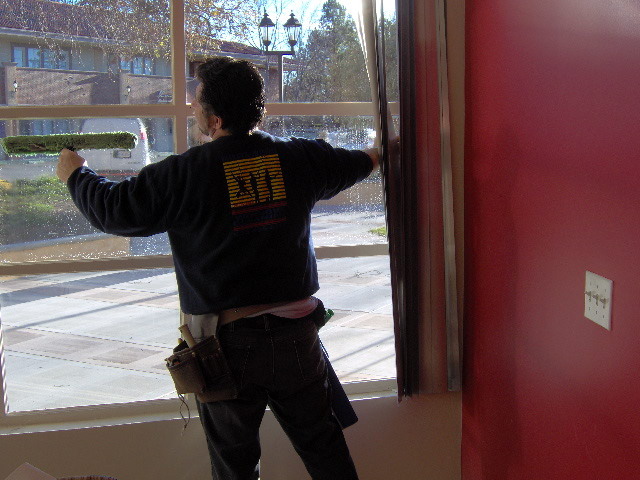 Having Brians's Window Service Inc add Madico film to a building's windows is a simple procedure that may be one of the most important things an employer or building manager can do. Madico films benefit, not only a buildingâ€™s occupants, but the company's bottom line as well. Watch the numbers drop on those HVAC costs with Madico films. A reflective film can keep out as much as 80% of the sun's heat, dramatically lowering air conditioning costs. In the winter, the same film helps retain interior heat, reducing heating costs. The fading caused by the sun's ultraviolet rays wreaks havoc on interior furnishings and merchandise, shortening their shelf life. Madico films screen almost 100% of those harmful rays, potentially saving thousands in replacement costs. Glare causes eye fatigue and lower productivity. Drawing curtains or closing blinds is a claustrophobic approach at best, and it drives up the bill for artificial lighting. Madico films let in the light but not the glare, helping to maintain an "open" feeling. We repair screens, rescreen, or install brand new screens. 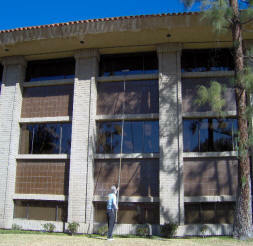 We sell and install swinging, sliding, and retractable screen doors. We offer Clearview brand retractable screens. Retractable screens utilize the old-fashioned technology of roll-up blinds, updated and advanced to work vertically or horizontally. Our screens are manufactured with a durable, lightweight aluminum housing that protects the screen cloth when not in use. Within the housing, the Clear View retractable screen is anchored to an aluminum tube and tension control device. Clear View's patented "Safe-Glide" Speed Reducer insures our doors will retract fully without danger of trapped fingers or a "slamming" return. Designed to look like molding around your door, ClearView Retractable Screens are hidden from view when not in use. When needed, simply pull them out! Available in 9 different colors, now you can put screens on virtually any door without detracting from your view or the beauty of your doors! Colors are to be used as a guide. depending on your monitor setting actual color may vary. 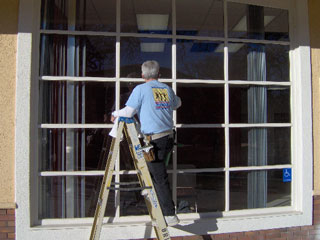 All ClearView Retractable Screens are custom-fit and professionally installed by Brian's Window Service technicians. 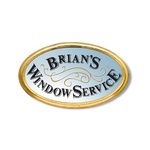 Brian's Window Service warranties installation workmanship for a period of one year from date of installation. For years of worry free operation of your retractable system, please follow the recommended maintenance tips. Keep tracks free of dirt and debris by doing a monthly cleaning (or as needed). Use a clean cloth and mild (non-abrasive) detergent to wipe down entire tracks, both top and bottom. After cleaning the tracks, apply a thin even coat of Silicone Spray (greaseless) to both the top and bottom tracks. Wipe off any over spray. Main Housing unit can be wiped down with clean cloth and mild, non-abrasive detergent. To protect screen material, always keep screen rolled up into housing when not needed for ventilation. You may clean the screen by wiping it down using a “moist towelette” or by vacuuming using an upholstery brush. Carefully vacuum the outside, then from the inside, taking care not to snag the screen. Keep pets from clawing or scratching of the screen mesh. Do not push on the screen to make the unit open, this will cause damage over time and is not recommended.